Yes hello. Here Iam. Thought Id update this journal thing. I rarely post here ffff ;A;. 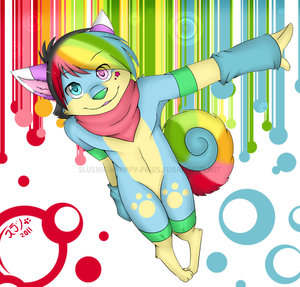 I mainly stay on my FA account : Slushie-Nyappy-Paws So....Yup. I dunno Im so bored. hi there! n0n! you won't escape from me even here, Inu-chan =3!! So I heard you got your inkbunny, now I must watch.